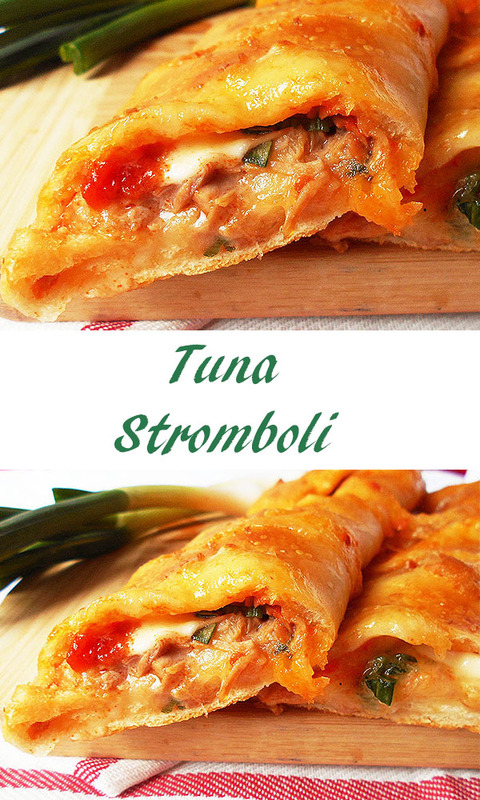 Tuna Stromboli: Simple pizza crust turnover filled with tomato salsa, tuna and mozzarella. Buon appetito ! What amazes me the most about Italian food is its simplicity, with so many variations possible. As long as there is tomato (salsa), mozzarella, peperoni, prosciutto, fish, olives and pasta, you can make a perfect comfort-food meal, anyway you like it. Anytime. I do not resist ready-made pastry. It saves my time, although, if possible, I prefer making the food from scratch. Cover a large baking dish with baking paper. 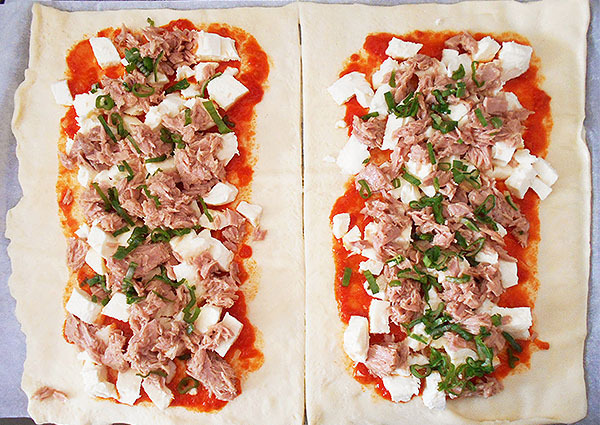 Roll out the pizza pastry and cut it into two equal halves. Spread the tomato sauce evenly on both of the halves (as seen above). 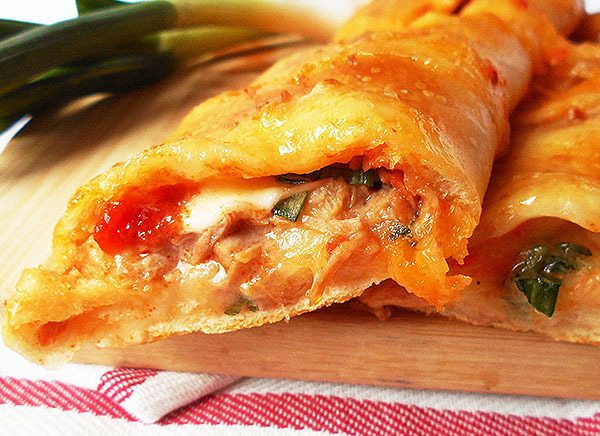 Add a layer of tuna and mozzarella. 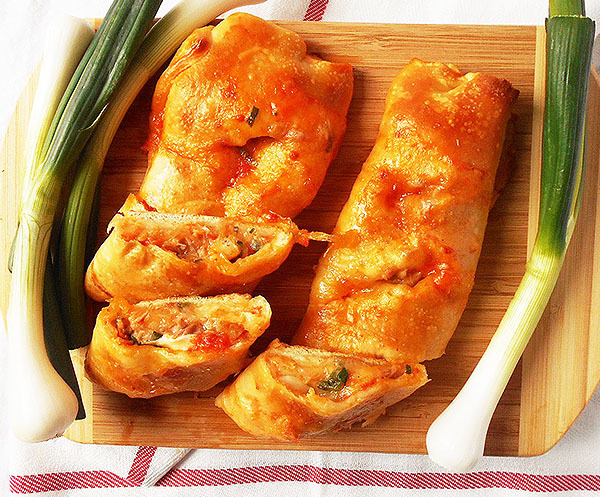 Roll the halves into two little loaves, with the seam on the bottom. Place the loaves onto the baking dish. Using kitchen scissors, make several cuts on the tops of the loaves. Egg wash, sprinkle with salt and bake for 15 – 18 minutes or until golden brown. 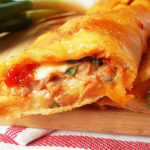 3 Responses to "Tuna Stromboli"
Ah, this is the recipe I’ve been looking for as I am looking for a variety of my tuna recipe. I agree with Italian food with its simplicity but there are several things to do with it if you have the ingredients with you. I can’t wait to cook this and share this with my nieces and friends. Hello Taylor ! 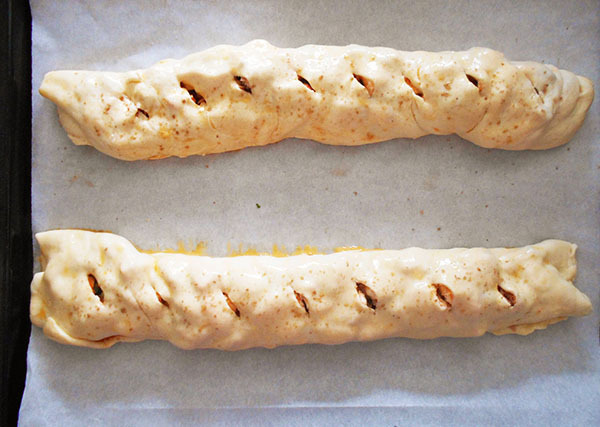 Hope you and your nieces and friends will enjoy Stromboli prepared this way as much as we do ! Thank you for commenting !